The City of Auburndale Parks & Recreation Department has been preparing for another spectacular Touch-a-Truck event for 2019.  They have an entire fleet of trucks ready to roll into Auburndale’s Downtown City Park on Saturday, from 10 am – 1 pm. Children will be able to touch and climb into the driver seats of many vehicles for an up-close, hands-on experience. This gives children a chance to learn and appreciate more about the trucks and the people who operate them. The City will also be holding its very first Recycling Event at Touch-a-Truck this year with paper shredding, electronics disposal, and residential recycling information. 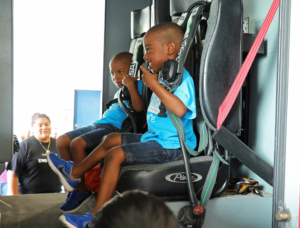 This year, Touch-a-Truck will feature concrete trucks, boom trucks, vacuum trucks, race cars, an ambulance, a ladder truck, a TECO line truck, a bucket truck, and an assortment of the City’s fleet vehicles used by the Police, Fire, Street, and Sanitation departments. Inside the park, families will be able to enjoy music, bounce houses, and food vendors. There will also be special commemorative Touch-a-Truck t-shirts given out to the first 100 children to visit the Parks & Recreation Tent. Spring cleaning is in the air and the City is providing citizens with a recycling event, where they can sustainably dispose of some special items. This is the first time that the City of Auburndale has organized such an event. There are 3 companies confirmed to attend, who will be providing recycling services on Saturday from 10 am – 1 pm in the Downtown City Park. Urban-E Recycling is a Tampa-based company that specializes in electronics recycling. They accept items such as computers, lithium-ion batteries, mobile devices, power adapters, cords, and more. If you have an old hard drive that needs to be disposed of, they will shred it on-site, which may provide some bonus entertainment. See their list of acceptable and non-acceptable items. Crown Shredding is a company out of Winter Haven, offering information management services. They will have a truck on-site that will shred and dispose of your documents. So if you have a few ounces or even a ton of paper documents to shred, you can do so safely and securely at Saturday’s event. Advanced Disposal will also be setting up a station, where citizens can learn more about their residential recycling program. Efficiency is key, so it’s important to keep up on what is and is not accepted in single-stream recycling. Be sure to stop by their station with any questions and concerns you may have about recycling. Come join us this Saturday, April 6th, from 10 am – 1 pm and enjoy Touch-a-Truck 2019!